This morning, Porsche sent us an email with the following sentence in it, "Porsche AG has invested in the technology and electric sports car company Rimac Automobili by taking a minority shareholding of ten per cent." That sounds great, but what the heck is Rimac Automobili? Well, in case you hadn't yet heard of them, they're a young and small hypercar manufacturer in Croatia. What makes them different, however, is the fact that their hypercar, the Rimac C_Two is pure electric, and makes nearly 2000 horsepower. Porsche is hoping to form a development partnership with Rimac for the future of their own electric cars. Rimac started back in 2009 as company founder Mate Rimac started building his quick, fast, and exciting electric sports car in his home garage. The Concept One is what he came up with, which is best known for being the car that The Grand Tour's Richard Hammond crashed last June. The C_Two was introduced at the Geneva Motor Show earlier in March of this year, extending Rimac's legendary performance. The two-seater car makes 1,914 horsepower and 1,696 ft-lb of torque, making it capable of a 1.85 second 0-60 time, and a top speed of 256 miles per hour. Even more than that, the C_Two features a 400 mile electric range, and can achieve an 80% charge in just 30 minutes through a 250 kW fast charge system. These numbers exceed the goals for Porsche's upcoming Taycan EV sedan, and it's likely they want to further improve their EV sports cars for future releases. 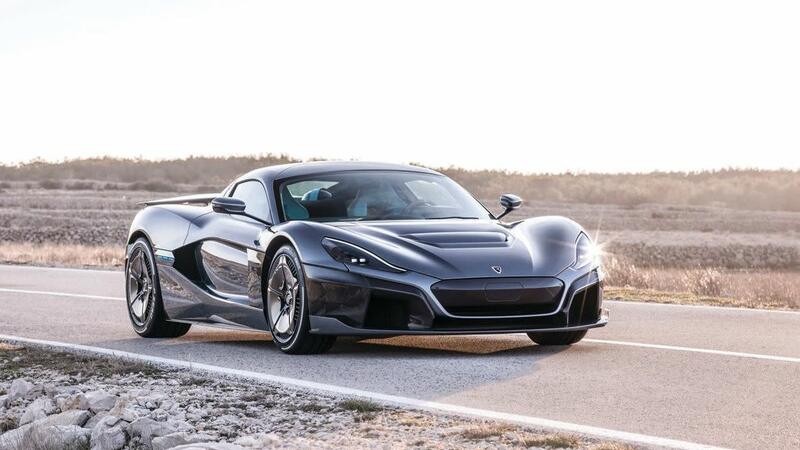 Rimac is growing rapidly, and Porsche clearly wanted to get in on the proverbial ground floor. The company employs a total of around 400 people in their Zagreb-based facility. Their primary focus is high-voltage battery tech, electric powertrain development, and the human-machine interface. Rimac also has a subsidiary, Greyp Bikes, which was founded in 2013 and produces e-bikes. “This partnership now is an important step for Rimac on our way to become a component and system supplier of choice for the industry in electrification, connectivity and the exciting field of Advanced Driver Assistance Systems."